This will be my last card for the bloghop as I have been called into work today. 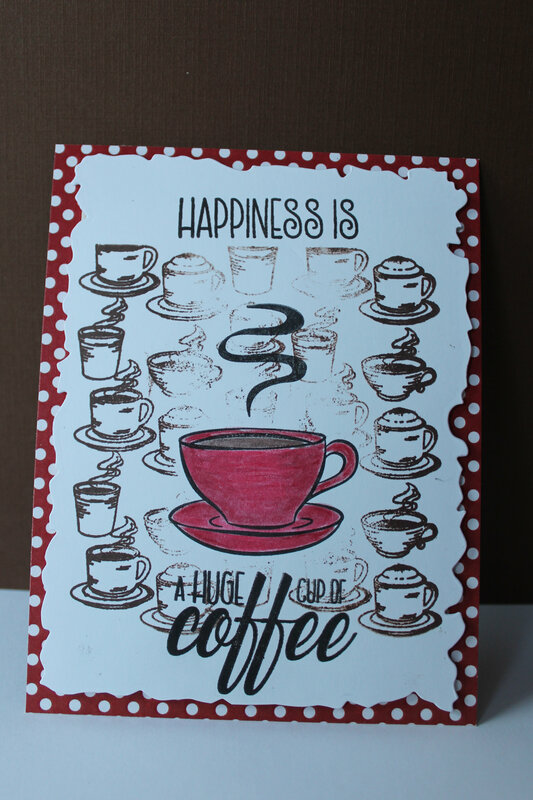 I just received this background stamp from Picket Fence Studios and I wanted to use it. I had bought their ghost stamp for Halloween that says “Let’s get sheet faced together”. As it turned out, I never found the time to make the card and send it to the person I had in mind for it. I didn’t want the same thing to happen with this stamp………………………………….so here it is………………………fresh from my mailbox. 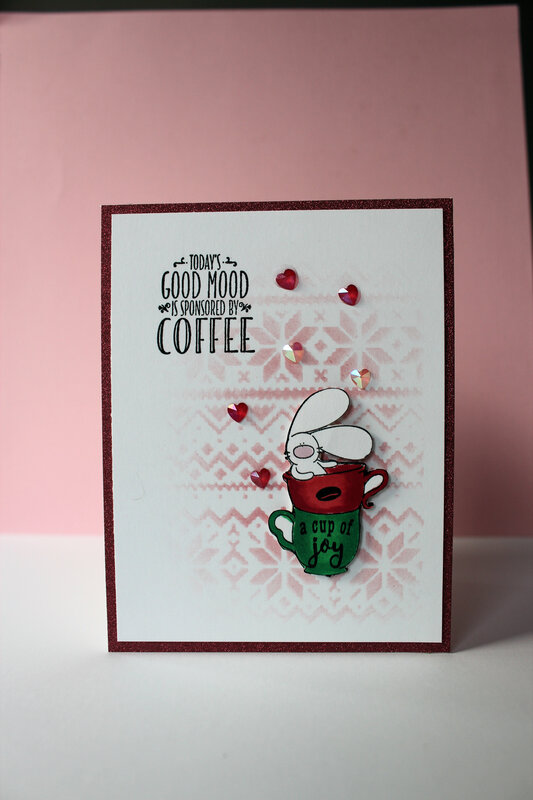 The sentiment is from Verve Stamps, a company that I only knew about through them being a sponsor on the Coffee Lovers Bloghop. I bought a number of their stamps on a close out sale. 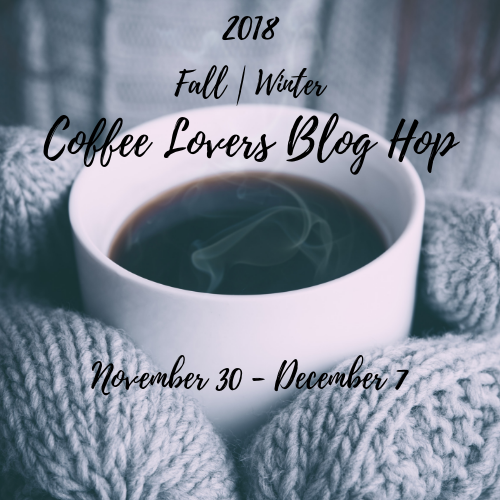 The main coffee cup is from a recent Hero Arts Kit. I had hoped to make more cards from this multi-image kit, but maybe next blog. The little sloth is back today. He is just too cute and deserves a second card. This time Lawn Fawn’s Knit Picky provides the background. 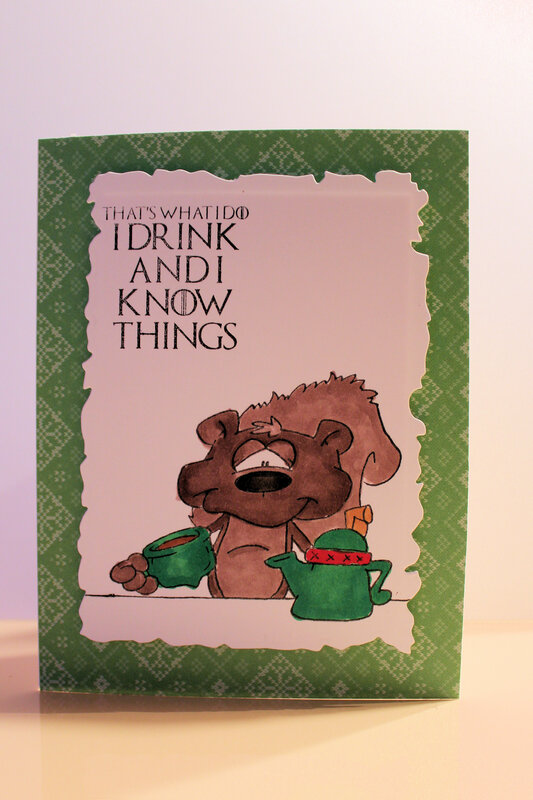 My Favourite Things Ice Cube shaker pieces double as sugar cubes in this card. The spoon is from a tea cup die set from Simon Says Stamp. Today’s card used a stamp set that was an add-on product from a recent Hero Arts Monthly Hero Kit. I have always had a fascination with the amazing scenes that Baristas can create with the cream in my coffee so I was immediately drawn to this stamp set. When I realized I could use Puffy embossing powder to give fluffy dimension to the cream, it had to go in my cart. 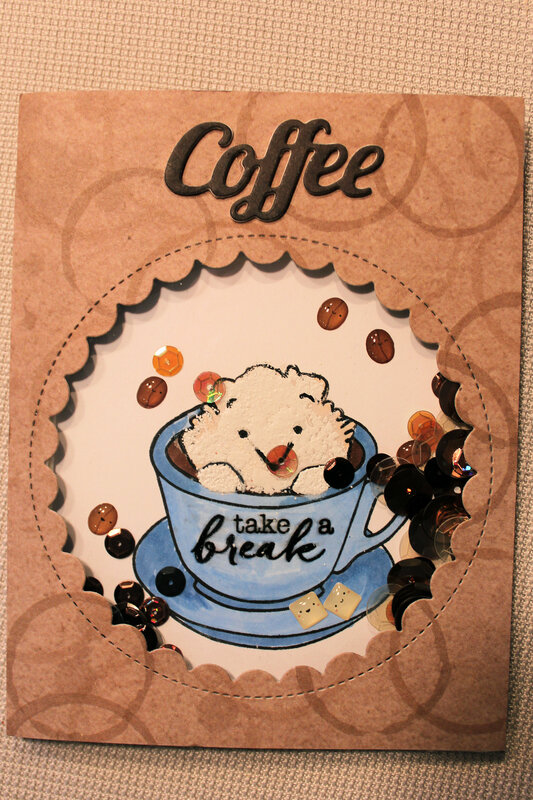 The Scalloped Circles die from Lawn Fawn, Doodlebug Sprinkles and coffee coloured sequins turned the whole thing into a cute shaker card.